I love hair and makeup, but skincare has always been my biggest concern in the beauty realm. Growing up, I had the most unpredictable acne prone combination skin. Finding products that worked for me was nearly impossible, primarily because online reviews weren’t as readily available. Now that I’m older, my skin is still acne prone and oily– it’s just a bit more predictable. In today’s post, I’ve rounded up all my Ride or Die skincare products in one place. These are absolute best skincare and facial products on the market for women with oily combination skin. I would (and do) pay full price for these myself, and I use them each on a daily/weekly basis. For reference, my skin is sensitive, oily, and uneven. I suffer from mild Rosacea, and I have some dark spots and hyper-pigmentation from hormonal imbalances, as well. I don’t get Botox injections, and although I have in the past, I don’t get regular facials or peels from med spas. Click any product on the below collage for specific product details or scroll down to the bottom of this post for an itemized description of everything featured. If you have any trouble viewing content, please disable your ad blocker. I promise my site won’t spam you! It Cosmetics Bye Bye Makeup is a god send. Just a dime-to-quarter-sized amount of balm removes all traces of makeup (even waterproof mascara) and actually leaves your skin feeling clean. Although my skin is acne prone and I usually use a gentle cleanser as a secondary step, it’s perfect for those late nights when you’re too tired to move. Just smear some on your face, splash up a little bit of warm water, and you’ll be blemish free the next morning. Also, it’s worth noting that Bye Bye Makeup is far superior to regular makeup wipes. I gave up on my go-to wipes after they kept drying out in the winter cold. I’ll never go back! Back when I worked monthly facials into my budget (those were the days! ), my esthetician confirmed that Clarisonic systems are golden. They can, however, be overused. Overuse, which in my case meant twice or sometimes three times per day, can dramatically dry out and irritate your skin. She advised against using any sonic cleansing system more than once a day. So, now I use a cleanser by itself in the morning, and then I pair a different gentle cleanser with my Clarisonic brush at night. My go-to morning cleanser has become Pixi Glow Mud Cleanser. It’s formulated with Glycolic Acid to remove dead skin cells, and it was designed for troubled, oily combination skin like mine. It smells amazing, and I love the way my skin feels after use. My go-to nighttime gentle cleanser (the one I use with my Clarisonic) is It Cosmetics Confidence in a Cleanser. It’s moisturizing, and it leaves my skin feeling soft, refreshed, and balanced. Plus, it’s a gel, so it works great and lathers perfectly with my Clarionic Mia 2. My Clarisonic Mia 2 is the quarterback of my skincare regimen. I don’t know what I’d do without it. Again, I have troubled, oily combination skin, and it’s the only tool that consistently makes my skin feel soft, exfoliated, and acne free. Seriously, it makes every single pore feel clean. You need to replace the brush head every three months, which gives you the opportunity to try them all and find your favorite. For reference, mine is the Deep Pore Cleansing Brush Head, although the Sensitive Brush Head is a close second. At $169 per cleansing system and $27ish per brush head, I know it may seem like a pricey investment upfront, but my Mia 2 has honestly been worth every penny. My only caveat with the Clarisonic Mia 2 is that if you take too long of a break (like when you’re too lazy to immediately buy a new brush head), you may see some “transient acne.” It’s a potential side effect for first time or irregular sonic brush users. The stimulation of the skin can bring bacteria to the surface, thereby forming a zit. The breakouts are never too intense; I usually get little red bumps in my T zone, and with regular Clarisonic use, they’re gone within a day or two. I was introduced to Cosmedix at the Southern Blog Society a few years ago, and I was given a sample of their Purity Detox Scrub. I’ve used it twice a week ever since. This scrub helps to even skin tone by reducing the look of acne scars, dark spots, and hyper-pigmentation. It’s also formulated with Salicylic Acid and AGP Complex to help stimulate cell turnover and curb breakouts. Mario Badescu makes all-around great products. Their Glycolic Acid Toner is one of their best. It’s formulated with glycolic acid and grapefruit extract to exfoliate, refresh, and stimulate congested skin. I love it because it helps reduce discoloration from old acne scars, which is an issue for me, and it’s alcohol free, so it doesn’t dry out my skin. I use in the morning and after I remove my makeup at night. When my skin needs a little soothing, Fresh Rose Deep Hydration Face Serum works as amazing as it smells. Its hydrating formula, which includes moisturizing Angelica leaf extract and soothing rosewater, is light, airy, and non-greasy. It retains moisture in my face and, even after a few days of use, smoothes ugly fine lines. For under $50, I’ve never found (or smelled) a lovelier or more hydrating serum, and I use it every morning! When my oiliness is out of control, Mario Badescu Glycolic Gel is my go-to. It’s a powerful overnight treatment that’s specifically designed for very oily skin to help reduce congestion and brighten uneven skin tone and texture. This serum is oil-free, and it exfoliates away dead skin cells and impurities, leaving my skin looking healthier and clearer when I wake up in the morning. Yes, even at 29, I still get acne. I blame my Italian heritage. For quick spot treatments, I use elf Acne Fighting Spot Gel with Aloe. Whenever I have a really bad pimple, this gel shrinks it in less than an hour and gets rid of it entirely within a day or two. Oh, it’s also $2. Whenever I’m dealing with a more intense breakout situation, I use Mario Badescu Drying Lotion. It’s formulated with salicylic acid, calamine, and other quick-drying ingredients to shrink blemishes overnight while you sleep. What’s awesome and unique about this drying lotion is that it’s safe and effective for all skin times, unlike so many other acne treatments. I remember playing around in my mom’s bathroom when I was little, and it was filled with Olay products. It’s still filled with Olay products. She’d always say, “It’s just as good as the fancy stuff!” Well, she was right. After testing out dozens of $100+ products, Olay totally is. Olay Total Effects Anti-Aging Moisturizer with SPF 30 is formulated with vitamin B3 to give 7 skin benefits for younger and healthier-looking skin. I use it every morning, and it’s light, fragrance-free, and effective. Oh, and the best part? It’s available at drugstores for under $25. Read my full review here. Since I love the Total Effects price point so much, I decided to give their Total Effects Whip Face Moisturizer a try, too. What’s unique about it the Whip line that it transforms from cream to liquid on contact for super fast absorption, which is helpful when you’re in a rush. It’s formulated with Vitamins C and E to give those same 7 benefits with a more matte and shine-free finish. This particular product doesn’t have SPF in it, which is why it’s not my top pick, but Olay just released a Whip with SPF 25 that’s currently on my shopping list. One of my favorite discoveries of 2017 was the functionality of facial mists. A good facial mist can instantly revamp dull makeup and/or soothe uncomfortable bare skin. I never the leave the house without one. I keep a bottle of Mario Badescu Facial Spray with Aloe, Herb, and Rosewater in one bag and a bottle of Pixi Hydrating Milky Mist in the other. These are both serious game changers… Kyle even loves getting spritzed! If you’ve never needed to use blotting paper, good for you, and I’m jealous of your skin. I remember going through 3 sheets every time I wanted to look less shiny in high school. Although my skin has mellowed out quite a bit, I still carry a pack of Boscia Green Tea Blotting Linens in my bag for emergencies. For example, Florida in the summertime is the capstone of my oiliness. If I’m going to take blog photos– or if I want to look at all presentable in every day life, these blotting sheets work wonders for mitigating shine. They’re relatively large, too, so you can rip them in half to get twice as much use out of one pack. I’m a big fan of Fresh, and the fandom started with the Fresh Rose Face Mask. Its cooling gel formula is infused with real rose petals that literally melt into the skin. Whenever my skin just feels blah, I leave this product on for a few minutes, and it’s magically soft, bright, and hydrated again. Another one of my favorite new face masks is elf’s Hydrating Bubble Mask. Its formulated with a hydrating gel that transforms into bubbles on contact. You can literally watch the bubbles fizz while they’re removing dirt and cleansing your pores. Plus, it’s paraben-free, cruelty-free, and vegan. I haven’t found anything better for $14. I love Juice Beauty, and I’ve been using their Green Apple Full Strength Peel for years. It’s designed for all skin types (they advise against using if you have sensitive skin, but I personally have very sensitive skin and love this product) to provide spa grade exfoliation and a reduction in the appearance of fine lines, wrinkles, and hyper-pigmentation. It works wonders for reducing dark spots and evening out skin tone and texture. Because it is so intense, I only use this peel once a month maximum (like a regular facial), and it’s enough to work effectively. As a new Missourian, Karuna’s Hydrating+ Face Sheet Mask has become a staple in my winter skincare routine! My face gets very irritated by winter weather (and the accompanying harsh dry heat inside), and this formula completely tones my skin in just 15 minutes. I’m always blown away by how moisturized and supple my skin looks/feels after use, and even though it’s a little pricey (each mask has to be purchased individually), I keep buying it time and time again. If you have dull, dry, or dehydrated skin, this sheet mask works wonders. I’m almost 30, and my eyes are a serious area of preemptive anti-aging concern. When I’m tired, it shows under my eyes. When I’m stressed, it shows under my eyes. A good eye serum is vital for my morning routine, and I haven’t found anything that works better than Dermalogica’s Stress Positive Eye Lift. I use the metal applicator, which is designed to give a cooling and soothing effect, to dab product under my eye, and I let it sit while I get dressed in the morning. After about ten minutes, I finally rub it in. My eyes are instantly de-puffed and brightened. The formula isn’t irritating, and I feel five times more confident after use. I love this stuff! Above all other skincare products, I’m willing to splurge on a good eye cream. Again, I need all the help I can get, since I don’t get botox and I’m approaching 30. Bobbi Brown’s Hydrating Eye Cream is the best product I’ve ever used. It’s a quick-absorbing eye cream with moisturizers that melt onto the skin and leaves the eye area soft, smooth,and refreshed for up to 24 hours. I use both in the morning and at night. Bobbi Brown Hydrating Eye Cream works great under makeup and actually makes a pretty decent primer, too. It’s $54, which seems like (and is) a lot for a tiny container of product, but it’s 100% worth it in my opinion. Again, I’m new to the whole winter beauty realm, and I never realized lip treatments were a thing. I’m quite familiar with them now. The Missouri winter has made my lips dry and chapped, and the area around my mouth is super tight and uncomfortable. I have very sensitive and acne-prone skin, so smearing Vaseline all over my mouth (unfortunately) isn’t an option. Although it’s a pricier route, Dermalogica’s Nightly Lip Treatment works great. It has a rich overnight formula that firms, hydrates, and restores skin on and around the lips. Also, if laugh lines are a concern of yours, Dermalogica’s Nightly Lip Treatment includes anti-aging lip and perioral treatments that sooth the appearance of laugh and feather lines while you sleep. That isn’t the reason I dish out $49 for the product, but it’s a pretty sweet perk! The Florida girl in me will always be partial to Australian Gold. It smells so gosh darn good! Their Botanical SPF 50 Tinted Face Lotion is the only sun screen I’ll put on my face in the summertime. It’s specifically designed for sensitive facial skin, so it doesn’t clog pores and is fragrance and chemical free. This tinted face lotion has a powdery, non-greasy feel, and its subtle tint is easily blendable. It’s also worth mentioning that the tint washes away with water, like almost all Australian Gold products. I remember being in high school and not wanting to get in the water (even though I was dying of heat) because I didn’t want to risk losing that Australian Gold tinted tanning oil glow! One of pageantry’s best kept beauty secrets, especially for looking like a goddess in a swimsuit, is a good self tanner. I always used Sally Hansen’s Airbrush Legs for competitions and St. Tropez Self Tan Classic Bronzing Mousse for appearances and every day life. Now that I’m long retired, I still use St. Tropez on a weekly basis. I apply it with a glove for a more even tan, and it looks totally natural. This product is also the best smelling self tanner on the market, and it fades more naturally than anything else I’ve tried. 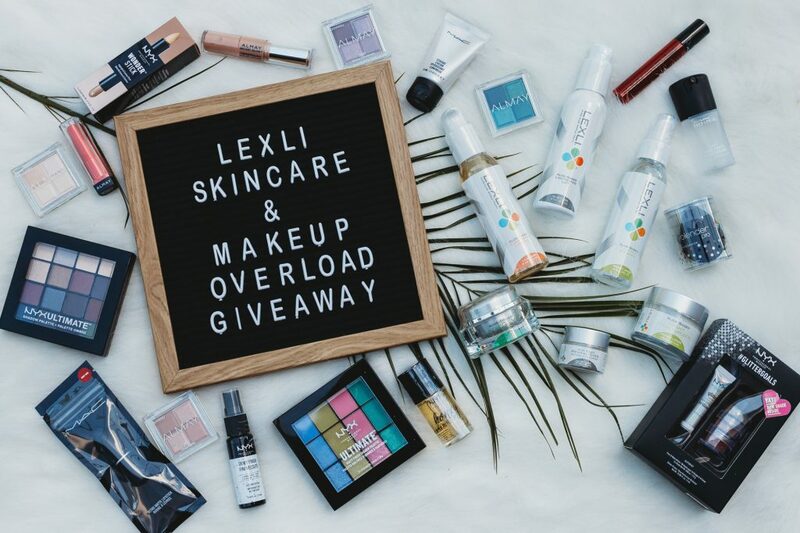 Last But Not Least… A Skincare Giveaway! Ashley of Ashley Brooke Nicholas, Michelle of Mash Elle, Stephanie of Diary of a Debutant, Teresa of Money Can Buy Lipstick, Marie of Marie’s Bazaar and I are excited to be giving away a whole Lexli Skincared facial set along with a TONNNNN of makeup including Mac, Urban Decay, Tarte, Clinque, Butter London, NYX, Lancome, Loreal, Pixi, and so much more! A whole estimated value worth over $1,500!!! You definitely don’t want to miss this one! Enter by filling out the rafflecopter below. Open internationally! Good luck everyone! If you loved my Ride or Die Skincare round-up, you’ll also love my 2017 Ride or Die Makeup and Ride or Die Hair Care posts! Feel free to comment or email me with any questions or concerns!